Another round of MESTO's program connecting with the community. The sign of the Mohamed Abdel Wahab street in Cairo. 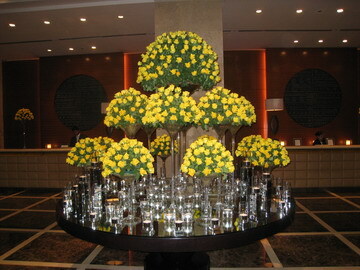 The interior of the Marriott Hotel in Zamalek, Cairo where Azzam stayed during the trip. 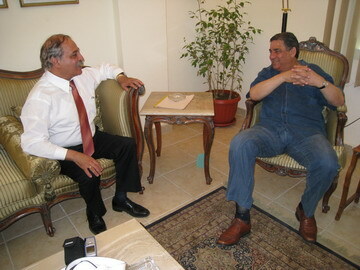 Professor Issam El-Mallah (Egypt-Germany) greets his friend Azzam at the hotel. 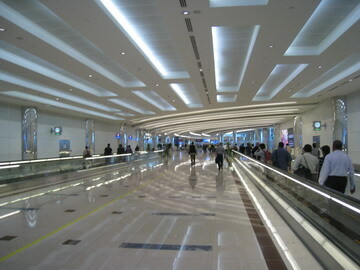 He left to Germany the following day! 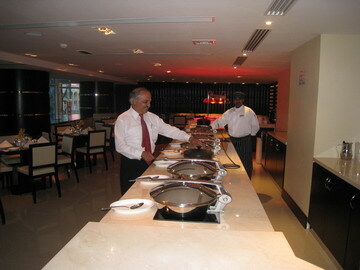 His professional contacts were very instrumental. 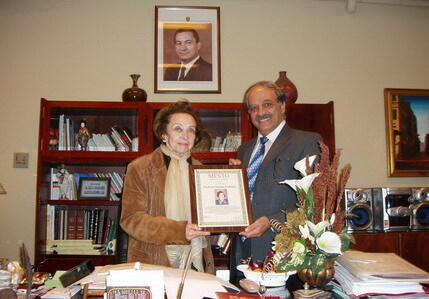 Maestro Azzam presents the MESTO Recognition Award to Professor Ratiba El-Hifney for her scholarly dedication and professional support of traditional Arabic Music. 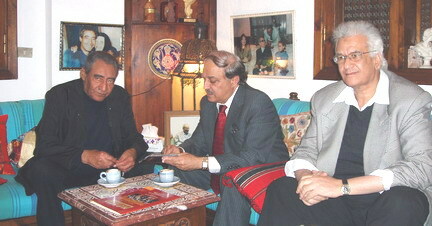 Mr. Mofied Fauzi, a celebrated Egyptian jounalist and TV personality watched with Azzam the performance of MESTO on DVD. 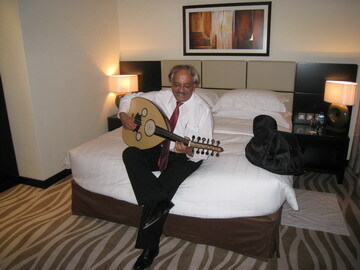 He is waiting for the orchestra to arrive in Cairo! He enthusiastically commented : You have done a marvelous job with this wonderful orchestra...Big bravo"
Dr. Abdel Moniem Kamel (M) Chairman, Cairo Opera House gave Maestro Azzam a very warm welcome. 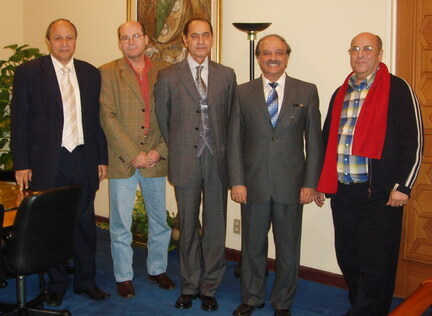 Mr. Rauf Sherbini, Dr. Monammad Hamdy, Dr. Kamel, Nabil Azzam and composer Gamal Salamah. 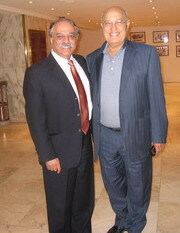 Dr. Kamel gave his blessing for inviting MESTO to perform in Cairo...details to follow. 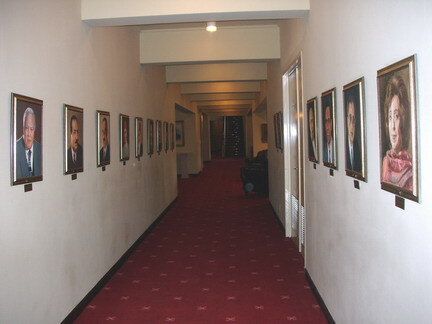 Hallway decorated with photos of previous directors of the Cairo Opera House. Do you see 'tripples?' That's right. This is the "Oriental" Piano capable of playing Arabic scales invented by Najieb Nahhas in the early 40's of 20th century. 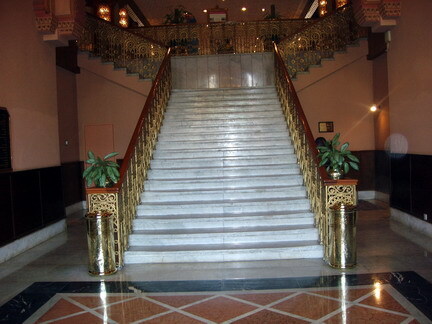 It's on desplay at the artifacts musuem of the Cairo Opera House. 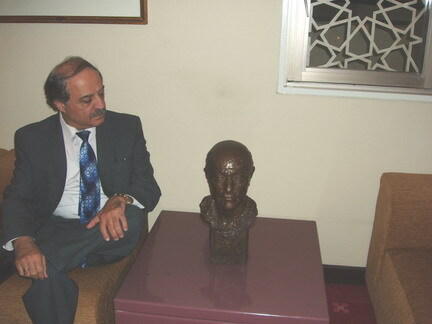 Azzam examining the bronze bust of the late Egyptian composer/singer Muhammad Abdel Wahhab. 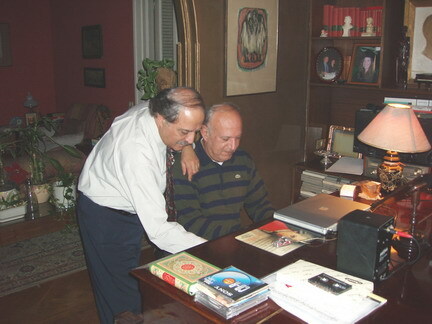 Celebrated Egyptian poet and lyricist Abdel Rahman Abnudi (Left) and Ud virtuoso Dr. Hussein Saber (R.) Abnudi has written songs for star singer Abdel Halim Hafez. 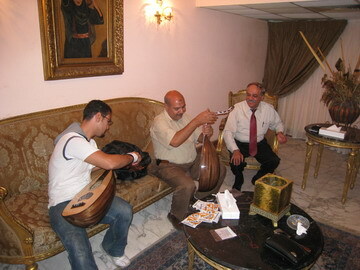 He promised to dedicate a song for Azzam so he'll compose the music. Azzam at the Museum of M. Abdel Wahhab at the old Conservatory of Arabic Music on Ramsis Ave. downtown Cairo. Three images of the composer at three different stages of his life appear at the entrance to the Museum. 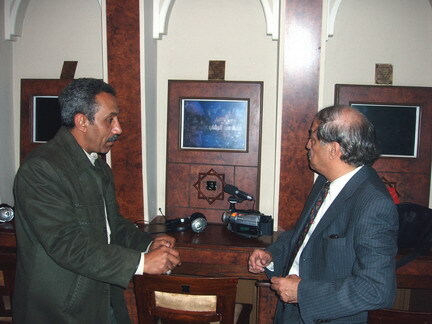 Mr. Ahmad Rashad, director of the Museum explains to Azzam the computerized archive of the life and work of Abdel Wahhab. 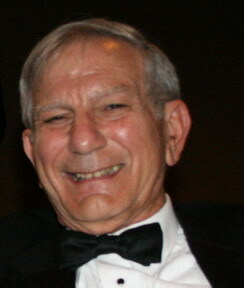 Celebrated Egyptian composer/conductor Omar Khayrat is one of the most successful musician and movie composers in Cairo today. 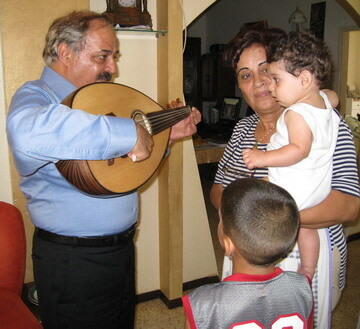 Mr. 'Alaa Sabir, a young promissing ud virtuoso, son of Dr. Husein Sabir also his ud teacher. 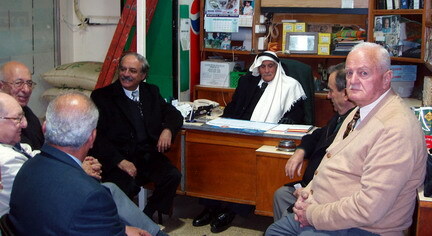 'Alaa is a member of the Omar Khayrat group. Mrs. Lotus Abdel Karim, Editor of "al-Shumu'" magazine talks about her high regards of the late M. Abdel Wahhab and her struggle to better advance the public awareness of the great composer. 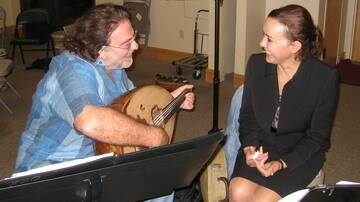 She has written many articles about the composer and led several symposiums on his music. 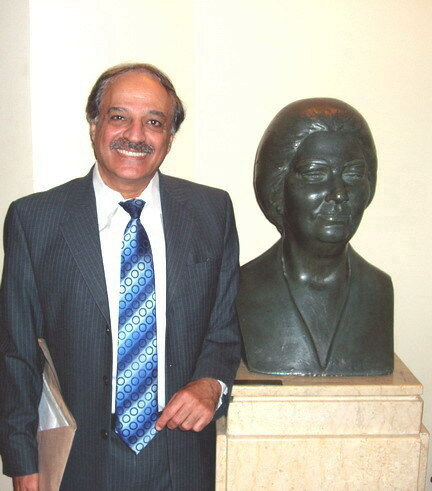 Mrs. Abdel Karim shares a moment with Azzam and a marble bust of Abdel Wahhab (in his youth.) 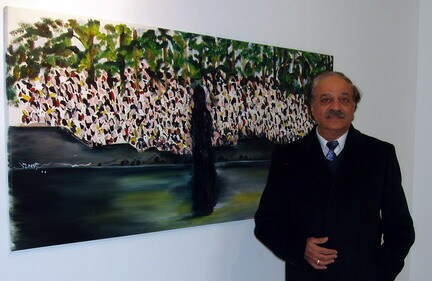 This wonderful work is specially commissioned for her by an Egyptian artist. 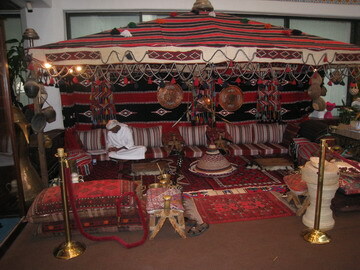 Nazareth is known for embracing arts and artists. At the old city hall, the work of Ms. Cicile Kahle on the Lebanese star singer Fairouz is occupying a vast space. 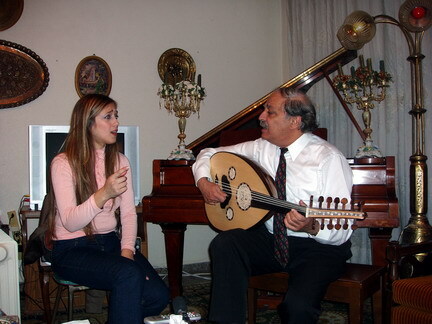 The young star singer DALAL rehearses the new song "Amman" that will be premiered in Jordan on July 2007 at the Jerash Festival. FRIENDS of MESTO, a new support group is established. The orchestra members are excited about premiering the new composition Mariam composed by their conductor maestro Nabil Azzam. This composition is for violin and orchestra. 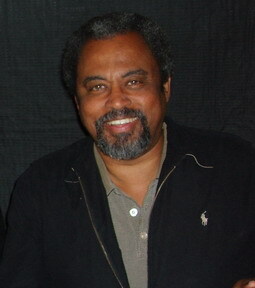 It will be premiered at the October 18 concert in Downey, CA. 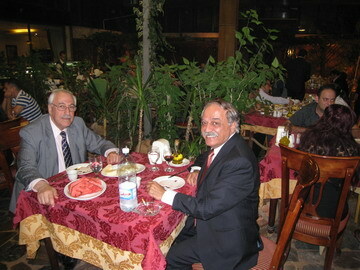 Maestro Azzam on a business trip to the UAE, Jordan and Nazareth. 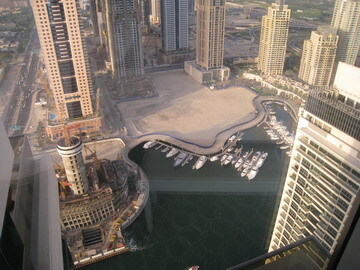 Meetings and more meetings! 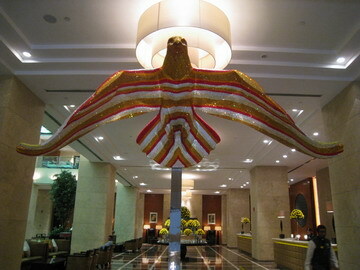 MESTO shines at the Royal Opera House in Muscat, Oman. 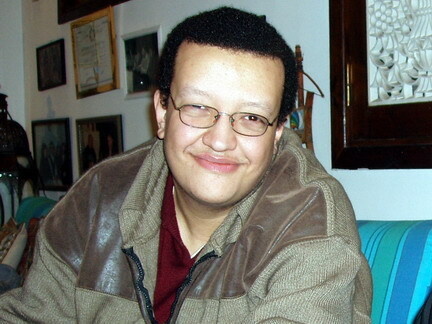 Congratulations to our 1st violinist Dr. Dimitri Olyvski for earning his Ph. D. in violin performance from UCSB. 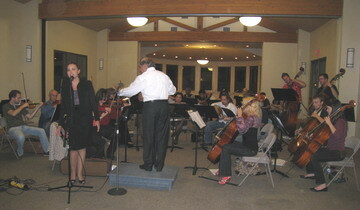 News about our successful concerts echoes all over the states. 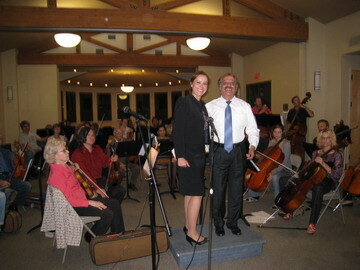 Conductor Azzam and the orchestra presented two remarkable concerts. 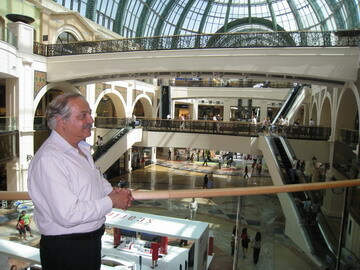 Nabil doesn't miss malls in LA but in Dubai it's a different experience! 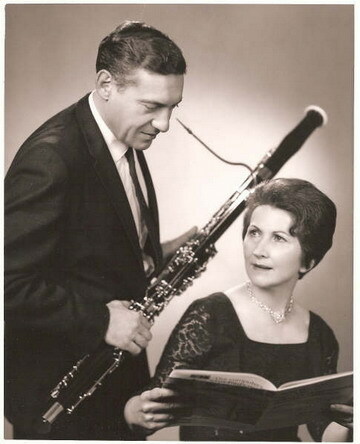 The famous bassoonist (and pianist) Mr. Charlie Gould and his talented wife pianist Erika Zador...Congratulations from the MESTO Family. What an amaizing couple! 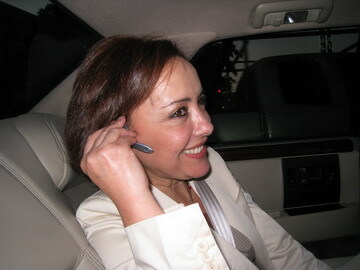 Here are some photos of star-singer Karima of Morocco. She visited Los Angeles for rehearsals with MESTO. 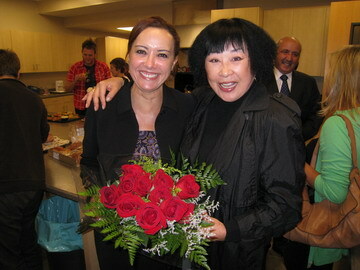 Mrs. Chisako Kanimaro admires Karima and her style of singing. April 1st (AKA April Fool's Day) is a special day for MESTO: Our concertmistress Leola Wagner's birthday. Orchestra members celebrated this occasion with her favorate chocolate cake. 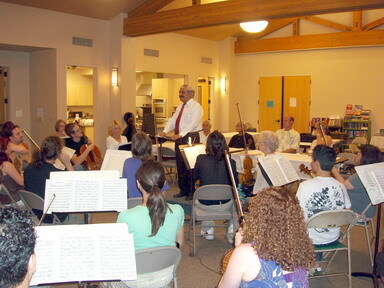 After the intermission the orchestra proceeded with the rehearsal on "Baalbek in Hollywood" of April 20, 2008 at Zipper Concert Hall at the Colburn School of Music, Los Angeles. 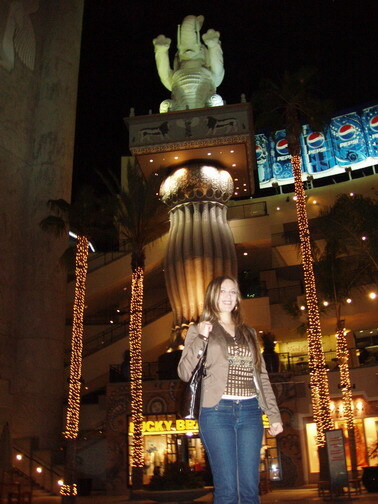 While MESTO is preparing for the upcoming concert on April 20, 2008 contacts have been made with top Lebanese your singers to make her American debut during the concert Baalbek in Hollywood. 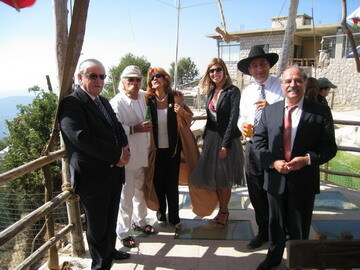 The concert will also include a prominent singer from Los Angeles to sing three great Lebanese "watani" songs. Check frequently for more exciting news. MESTO will have 3 rehearsals in July in preparation to the first international concert in Jordan...our staff is in high gear. 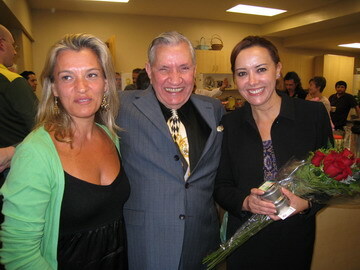 Iva Katalieva graduated from USC with master's degree in violin performance. She studied under professors Margaret Batjer and Endre Granat. 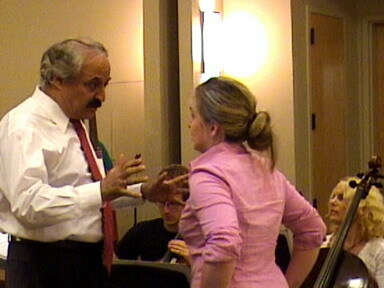 Her recital will take place in the fall, 2007. 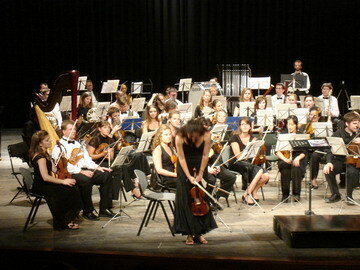 In addition, Iva has already recorded her first CD that includes selective works for violin. Last summer, Ms. Iva Katalieva was chosen as concertmistress of Aegean Symphony in Greece under the baton of Maestro George Skipworth. 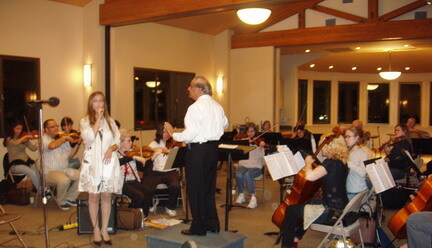 The orchestra played Scheherazade by Rimsky-Korsakov and Iva also performed the violin concerto by Tchaikovsky. 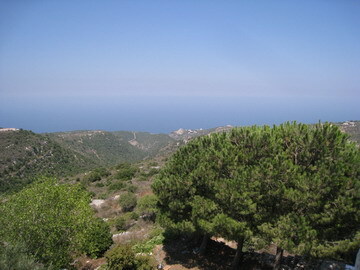 The orchestra performed in Athens and island of Lesvos. Claire Bergen our violist, graduated from USC's Rossier School of Education with master's degree in teaching on May 11th, 2007. Along with a master's degree, she will also receive a multiple subject (Kindergarten-6th grade) teaching credential. Claire plans to also fulfill the requirements for supplementary credentials in teaching music and art in kindergarten-9th grade. Currently she is applying for work in music education, educational research or developing arts curricula for public school students. In the meantime Claire will continue to work on her own musical and artistic projects with MESTO and other programs. Palestinian star singer Dalal in her rehearsal on the newly composed song "Amman" composed by Nabil Azzam after a poem by famous Lebanese poet Henri Zoghaib. 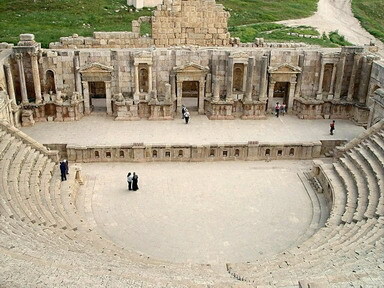 The performance during the Jerash Festival on July 29 will also include a song of Wardah by Muhammad 'Abd al-Wahhab. 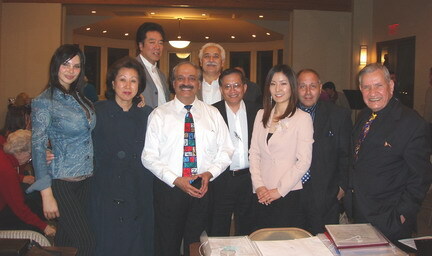 Dignitaries from the Asian commumity attended MESTO rehearsal. 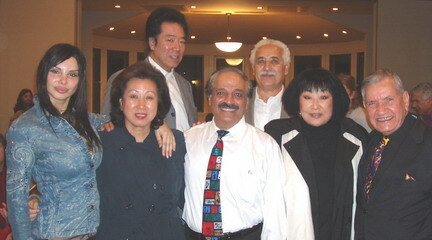 Mrs. Chisako Kanimaru (top photo, second from right) is a true supporter of the orchestra invited key figures who will put together a concert featuring MESTO. Syrian master singer Mr. Aboud Bashir (middle between concertmistress Leola Wagner and Nabil Azzam) visited MESTO at the Dec. 19 rehearsal. 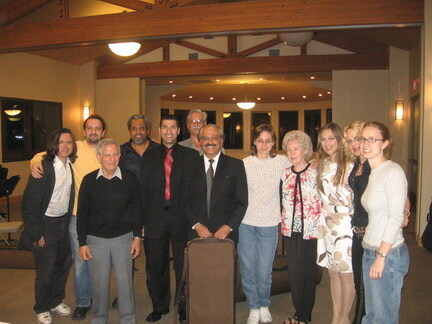 He was accompanied with Maestro Wael Kakish (top right) conductor of the Kan Zaman community ensemble of Arabic music in Los Angeles. MESTO musicians were very pleased to hear Mr. Bashir sing for them some traditional tunes. 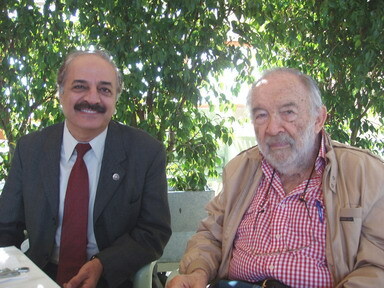 Dr. Stanley Sheinbaum is a good friend of Nabil Azzam and sponsor of MESTO. 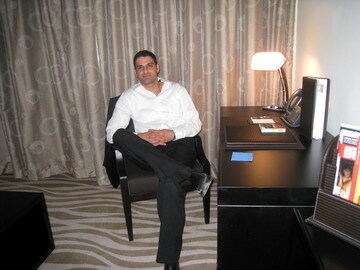 Lately he has written a nice letter to Her Majesty Queen Noor regarding the upcoming concert "Jerash in Hollywood 2006." Thank you Stanley. 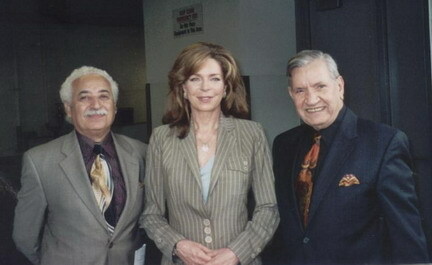 HM Queen Noor of Jordan visited Los Angeles on a lecture tour. 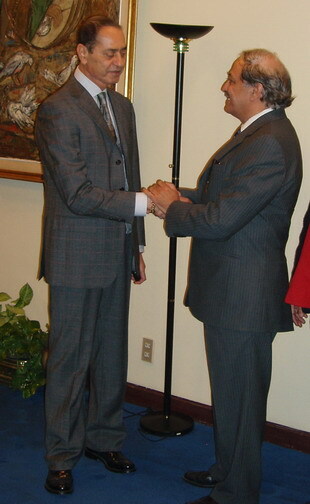 Co-chairs of "Friends of MESTO" Drs. Raymond Jallow and Hassan Sassi had the chance to meet with the Queen for a short time. 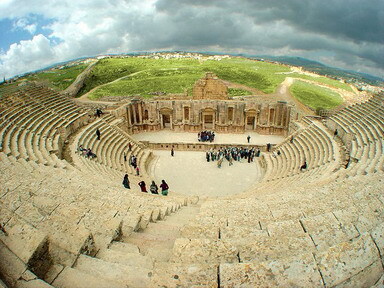 Her Majesty Queen Noor Al Hussein has agreed to co-chair "bringing Jerash to Hollywood in 2006", the internationally celebrated Jordanian Music Festival that was cancelled recently due to the war in the Middle East. 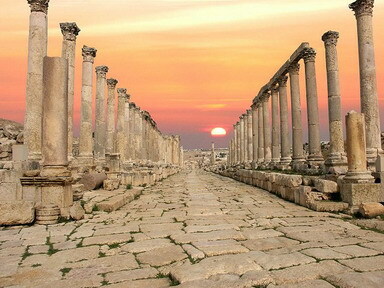 The Jerash Festival for Art and Music that was scheduled to start in Jordan July 26, 2006 has be postponed due the lates development in the Middle East. 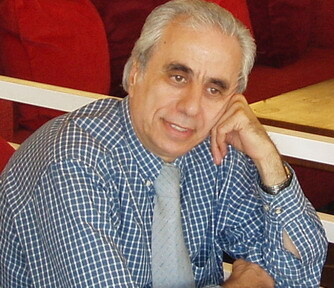 Mr. Jeryes Samawi, director general of the Festival writes in his formal announcement to all participants today. Opera singer Anna-Suzette is being told the Festival is postponed!!! 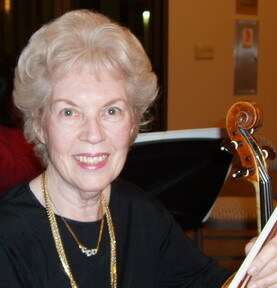 MESTO cellist Ms. Meghan Askins has received her Master Degree in Music from the University of California, Riverside. What makes this degree so special to the orchestra is that her topic reads "Hitting the Red Notes: Arab/American Encounters and Musical Citizenship in MESTO. Congratulations to us all for your achievements. We are so proud of you. Cellist Meghan Askins at MESTO rehearsal. 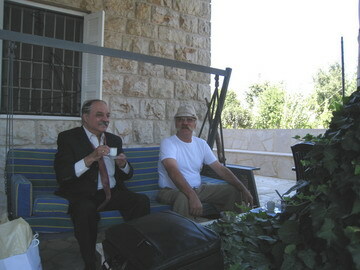 FROM AMMAN BY PHONE--Poet Jeryis Samawi, director of the Festival to Nabil Azzam: Jerash Festival is waiting for MESTO, welcome to Amman and bring your great music! 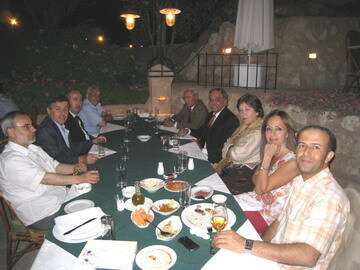 In preparation for the Jerash Festival in Amman, Jordan, Maestro Nabil Azzam met with Chairman of the Jerash Festival, Director general of Ministry of Education, poet Jeryis Samawi, below, and Mrs. Lubna Farr. 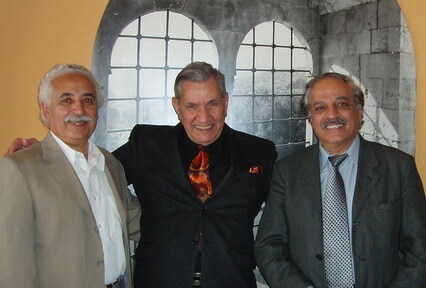 What a surprise to meet with singer Isma'l Khader and Syrian legendary singer Sabah Fakhri, second from Left. And, for the first time in Beirut, Lebanon, there was a very special treat to connect with an icon of modern Lebanese music Mr. Elias Rahbani and a young Syrian Superstar singer Ms. Shahed Barmada. A promising talent with great potential for collaboration with MESTO. 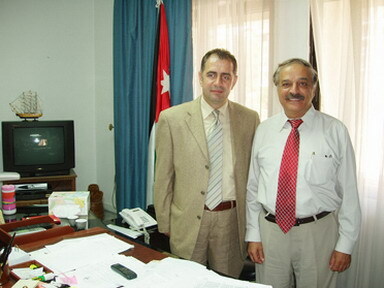 After becoming a US citizen: Dr. Nabil Azzam to visit Nazareth, Amman and Beirut. 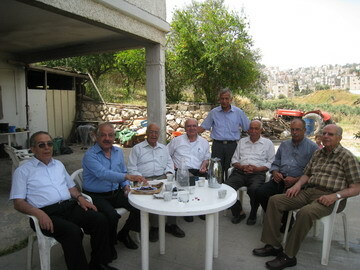 The 12-day trip is in preparation for the performance of MESTO @ the Jerash Festival on July 30 and 31. Azzam will meet with number of artists including Maestros Elias Rahbani, Mansour Rahbani, Mr. Henri Zoghaib (poet,) and Super Star Ms. Shahed Barmada and Tony Hanna among others. 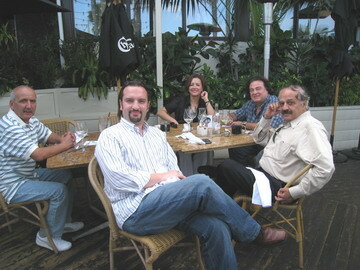 Nabil will return to Los Angeles on June 5. 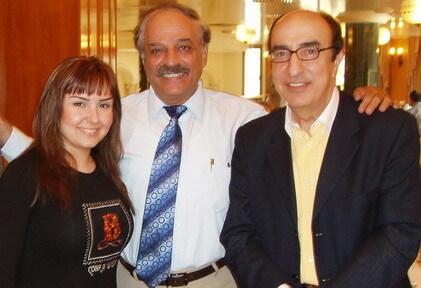 Qanun master Ibrahim Naddaf and star singer May Naddaf (Canada) visited MESTO on Feb. 21. MESTO musicians had the chance to hear Mr. Naddaf improvise on his Qanun. May also sang one of her favorate songs accompanied by MESTO without any preparation.. 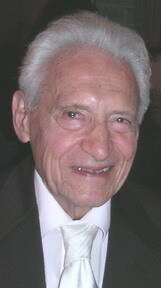 In the last concert, at Zipper Hall in Los Angeles, MESTO honored five of its members. 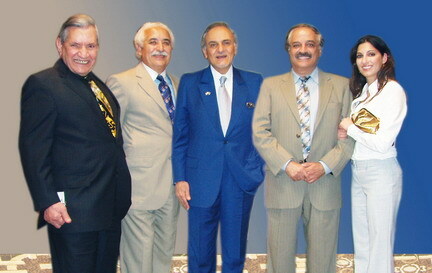 They were given a special recognition for their years of serving their community with their exeptional talent. 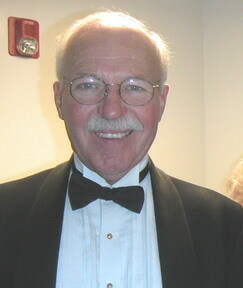 The five are: Charlie Gould (bassoon); Joseph Chamaa (violin); Tom Jones (clarinet); Hans Phillips (viola) and concertmistress Laola Wagner (violin). 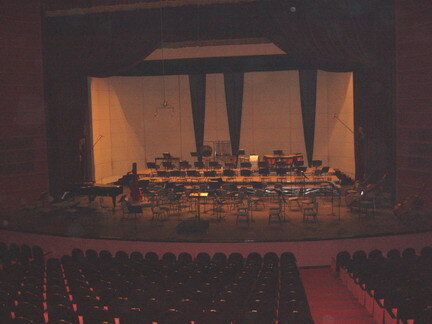 The ceremony took place at the beginning of the second half of the concert. Dr. Raymond Jallow and maestro Nabil Azzam presented the awards among the cheering orchestra and the audience...Congratulations.